Route 66, a journey: It's a party! The folks at SBI provided the motivation and courage to start this blog. They know what it takes to recover from a brain injury. That's their job, helping people through this process. 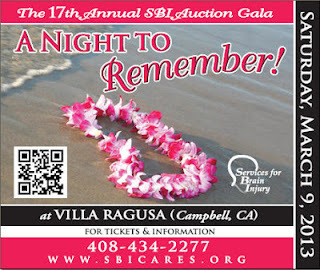 Next weekend is SBI's gala auction at Villa Ragusa. Last year I was in Williams, AZ on auction night. 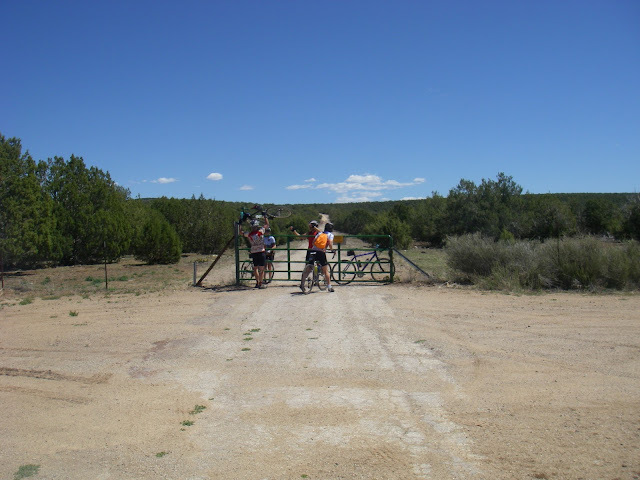 That day we rode from Seligman, where Angel Delgadillo has his barber shop, to Williams on Route 66. Lots of old road that day. There was a lot of climbing and a lot of dirt. That evening through video chat SBI had my support. This year, I'm excited to be there in person! Buy a ticket and dress up and attend. It's a party! Buy raffle tickets @$50 each for a chance to win a Hawaii vacation. Don't we all want one? Can one buy a raffle ticket and not attend? I'm out of the country that weekend. Yes! Raffle ticket only is a definite option. Need not be present to win. And, the odds are WAY better than winning the CA lottery tonight... Danny and I are buying 4 of them.